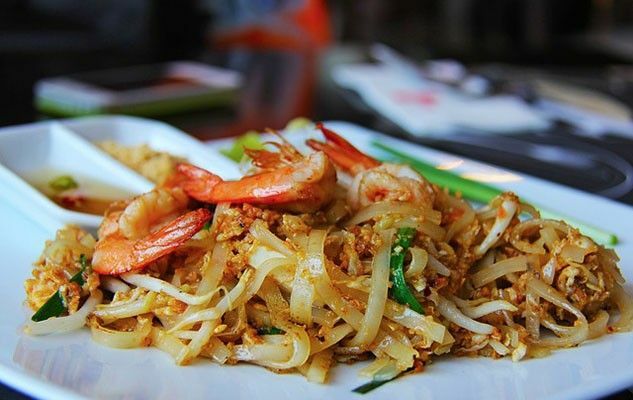 “Pad Thai”, one of the world’s most famous Thai dishes, has very modest origins. Following the economic crisis that hit the country after World War II, the Thai government launched a major campaign to reduce domestic rice consumption, in order to have greater amounts available for export. So the traditional bowl of rice was replaced, at least partly, by a bowl of rice noodles, which also happened to be cheaper. The word “Pad Thai” literally means “fried Thai style”. In the traditional recipe, noodles are stir-fried over high heat in a pan with eggs, vegetables, sprouts and crumbled tofu, and then seasoned with fish sauce and lime. Of course there are other fancier versions with shrimp, pork, or anything else you may have at home. Try our recipe for Pad Thai. Originally published in the Journal de Montréal on June 14, 2014.